If you have a cold, should you keep your dentist appointment? You should first call your dentist if you have a cold and let them determine whether you should keep your appointment. If you have active cold sores, or an active cold or flu with a cough and congestion, to avoid spreading germs, it may be wise to reschedule your appointment. If the appointment is for a routine cleaning without any serious dental issues going on, it would be better to reschedule the appointment. The best advice given is to call your dentist. Discuss your problem with your dentist to determine whether your dental appointment should be kept or rescheduled. If you are not experiencing dental problems, reschedule your cleaning appointment until you feel better. 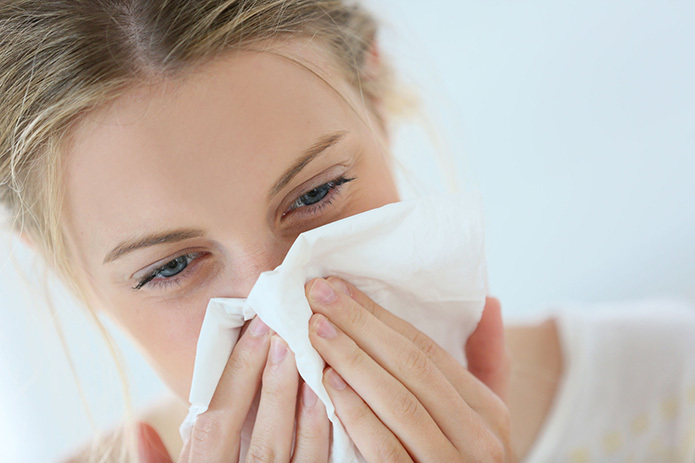 Did you know that certain dental conditions can mimic cold symptoms? Sinusitis is inflammation pertaining to the sinuses. This condition can present symptoms similar to a cold or flu. Cavities can become inflamed which can cause chest congestion and mimic common cold symptoms. If you have sinusitis, the sinus tissues can become inflamed and cause congestion, fever, stuffy or a runny nose, and sore throat. If you have a cold and pain in the upper part of your teeth, then, consider visiting your dentist in addition to your general physician. Another example, chronic gum inflammation causes gums to swell and bleed. This allows bacteria to flourish and pass into the bloodstream. This condition can produce cold-like symptoms in your body. You may experience fever, chills, congestion and a runny nose. To keep your gums healthy, practice healthy daily oral hygiene habits. Regularly visit your dentist and brush twice daily and floss your teeth. Dental abscesses are another dental condition with symptoms that can mimic a cold. Bacteria with pus can be present in the gums along with cold-like symptoms that could spread to your mouth and throat areas. In addition to visiting your physician, it is wise to visit your dentist. If possible, avoid unnecessarily spreading colds, flu, or other viruses. To alleviate a cold, rest, drink plenty of fluids such as water and juice and eat soup. Gargle with salt water twice a day. To soothe a scratchy throat, drink lemon and honey with your water at least two to three times per day. If you are experiencing toothaches or jaw aches, discuss these problems with your dentist to decide when you should schedule an appointment. When you are experiencing dental pain and you have a cold, don’t guess or delay your appointment. Call your dentist and discuss your problem. Your dentist will help you decide if your appointment should be rescheduled. Walled Lake Dentist, Dr. Steven Hechtman has been keeping mouths healthy and smiles bright for over 40 years. His skill, experience and knowledge ensure optimal dental care to each patient. When you visit our Lakes Area Office, you will meet a group of hygienists and professionals who are committed to your smile. We offer the latest technology in modern dentistry, including a comprehensive list of general, restorative and cosmetic dental care services to meet the needs of your entire family. Call our Walled Lake Dental Office today to learn more!